As of March 12, 2019, the North Unit Irrigation District board of directors set the 2019 Irrigation Season Allotments at 1.50 acre feet per acre for Deschutes River and 0.75 acre feet per acre for Crooked River acres. This restricted allotment is based on what is projected to be deliverable, and supersedes the minimum 2.00 and 1.00 acre foot per acre for the Deschutes and Crooked River. Excess will not be charged, however, until you surpass the 2.00 and 1.00 acre foot per acre of water (for Deschutes and Crooked River) that you may receive and use from another water user. Because North Unit Irrigation District is the junior water right holder among the six irrigation districts dependent on the Deschutes River, we must regulate our water usage to what remains after all others take their entitled amount. A series of winter droughts, extreme summer heat and operational changes to comply with Oregon spotted frog habitat have all impacted our access to our water sources from Wickiup Reservoir and the Deschutes River and taxed our ability to deliver ample water to our patrons. The board of directors compiles all the best information, models, projections, and professional advice to set the most stable and accurate allotment deliverable by the District. In setting this allotment, the District must consider groundwater storage, snow pack, reservoir capacity, operational restrictions in protection of Endangered Species, and limitations in our current transport efficiency. At the end of the water season, usage over your minimum is calculated and bills for excess water are sent towards the end of October or the first week in November. This charge is required under the District’s contract with the Bureau of Reclamation. This charge is for the operation & maintenance of the district and when paid allows a minimum of 2.0 acre feet of water per acre on Deschutes water rights and 1.0 acre foot per acre on Crooked River water rights, if available. This charge varies yearly based on the budget adopted by the District’s board of directors. The District implemented a yearly account charge starting with the 2005 water year. This charge covers administrative costs incurred by the district, which the board feels should be shared equally amongst landowners. This charge was established in 2004 to cover legal and environmental costs associated with Crooked River water right acres and the District’s contract with the Bureau of Reclamation. This charge is a repayment to the Bureau of Reclamation for the construction of the project. The District obtained a legislative amendment to our contract with the Bureau, which is effective starting the 2009 water season. Deschutes water right acres were previously subject to this charge, with the change Crooked River water right acres are now also subject to this charge. The Bureau of Reclamation completed Safety of Dams modifications on Wickiup Dam and the District is required to pay 15% of the total cost. The estimated cost to the District is $5,766,972 and the District has a 30-year repayment contract with the Bureau. The repayment had been 50 cents per acre for the first 15 years with an additional account charge of $15.18 per account for any landowner with 10 acres or less of water rights. Starting 2019, the charges have increased to $6.00 per acre. This bill is also sent in March and is based on Deschutes water right acres. We did not always need to set an allotment on our water usage. 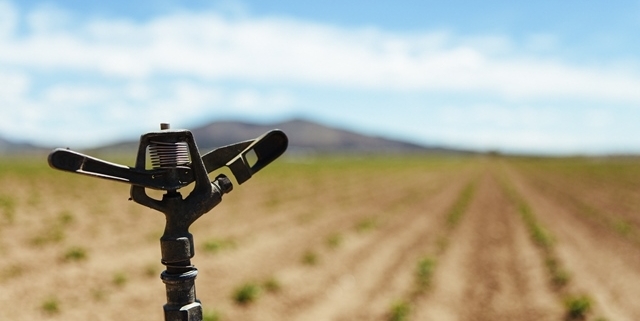 During the irrigation season an allotment can increase, decrease or entirely lifted depending on real-time water conditions. Below is the history of our water allotments (in acre feet per acre), and how they changed throughout the year. Key: Allotment Increase denoted by the positive numbers. An allotment decrease denoted parentheses (##), and a lifted allotment noted by an “L.” In many cases, multiple changes were made throughout the season, a “/” separates each change, listed sequentially.